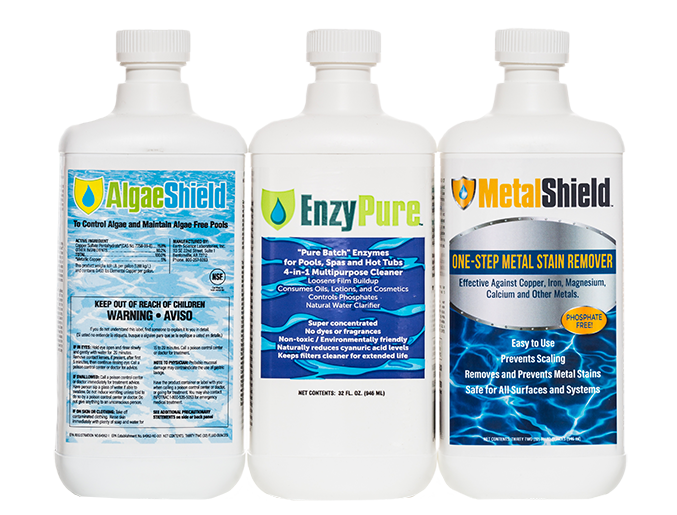 The PristineBlue® complete pool and spa care system is built around the cornerstone product PristineBlue, a highly effective algaecide and nonpublic health bactericide for residential pools and spas. This system is effective, affordable and easy to use. PristineBlue is environmentally friendly, EPA registered and NSF certified. It is gentle on eyes, skin and equipment. Apply just every two weeks to maintain crystal clear, sparkling pool water. The highly effective PristineBlue system is available exclusively through authorized dealers. All products are made in the USA. The ESL Specialty Chemicals line is formulated to tackle the most difficult pool and spa issues. This line features powerful and innovative products, including algaecides, cleaners and stain removers. All products are made in the USA.